There seems to be a general consensus that the Urban Decay Naked 2 Palette isn’t as cool toned as people were hoping…. 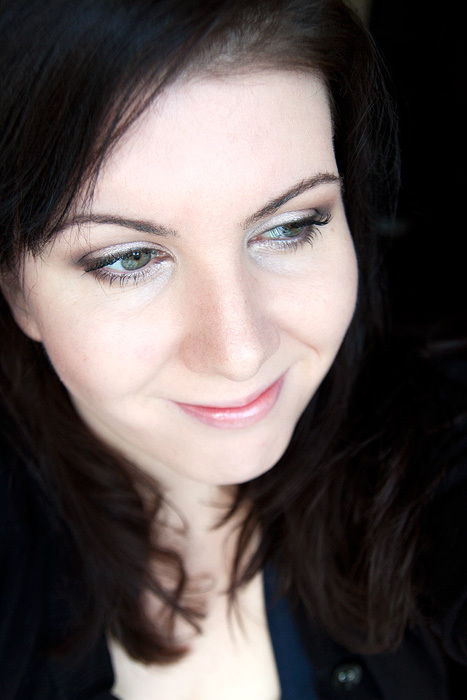 in comparison to the first, and as a cool-toned girl myself, I’m sticking my head above the parapet to proclaim that they work nicely on cool-toned complexions. Now, those first 4 shades in the palette (from left to right), are warm. Undoubtedly. But the rest, are certainly neutral enough to make them a flattering fit for my skintone. My only major irritation with the Naked 2 Palette is the inclusion of Half Baked (again), it doesn’t suit me, and we’ve been there already. I (like many other makeup fans), would be thrilled to see Naked 3 (yes, I’m going there already) filled with matte shades. 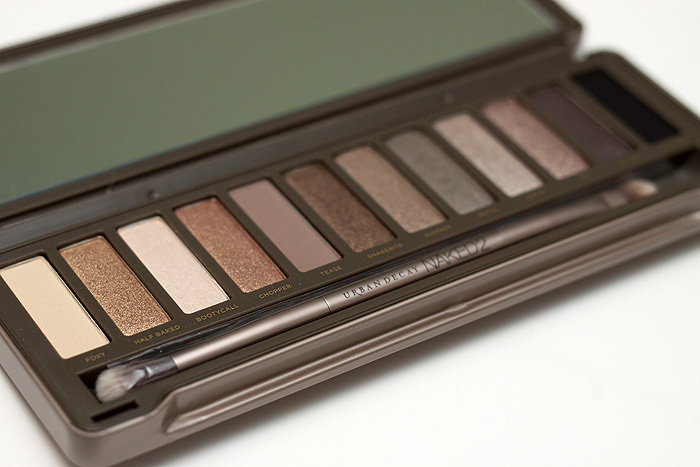 Urban Decay’s mattes are under-rated and a palette of matte neutrals would make such a great flanker to Naked 1 and 2. As a 30 year old, I’m just not sure how much longer I’m going to be able to get away with this amount of shimmer on my eyelids. I’m hoping a FOTD will demonstrate the kind of shimmer you’ll get from the Naked 2 Palette and help you make an educated decision on whether you’ll be jumping all over this on release date or leaving well alone. 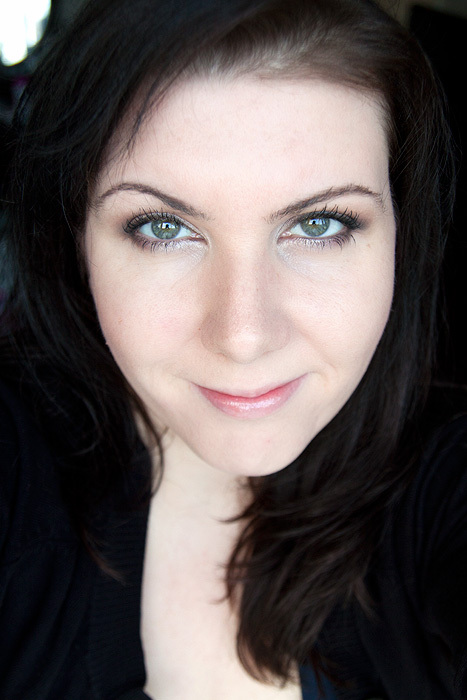 I’m also wearing the Naked Lipgloss which is included in the palette. I don’t like this – it’s thicker than treacle, mintier than a glacier full of polos and doesn’t really serve any colour purpose. The Naked 2 Palette will be released in the UK on 9th January 2012, priced at £36 and available from instore and online from Debenhams before rolling out to House of Fraser from February 6th. Oh goody – a release date at last! i’ve been thinking about getting naked for a while now, but i feel like it’s a bit too warm for my taste.. (i have no idea what skintone (warm or cold) i have, but i just don’t like the way goldy/coppery colours look on my eyes. so now i’m thinking about just waiting for naked 2, cause i do want a nice neutral colourd palette that isn’t boring..
do you feel like naked(1) or naked2 works better for your cool skintone? I’m the very same Charlotte, I’m scared of shimmer at nearly 30 years of age. I’m afraid that shimmer shadows will accentuate my fine lines and make me look like mutton dressed as lamb. We both should get over our unfounded fears. You look gorgeous and I’m totally getting this palette! You look gorgeous! But I think I’ll stick this palette as I don’t need any more neutral eyeshadows. But I would love a Naked 3 palette with matte shades. I’d definitely buy that! I’m a cheap cheap girl, and I rarely buy makeup that costs more than $10, but if someone made a matte neutral palette I would absolutely buy one! Hopefully that’ll be showing up soon. Gorgeous!! (that’s you and the eyeshadows) In no way do I ‘need’ this, just like I didn’t ‘need’ Book of Shadows 1, 2 or 3, or the 15th anniversay palette. I also don’t need the BoS vol 4 that my sister is buying me for Xmas… but that’s not the point, is it? Of course I’ll be buying this! cannot wait to get my hands on this! you look beautiful! Looks great on you although having Naked 1, I don’t think i can justify this. I agree about Half Baked – it looks so lovely in the pan and on other people but when I put it on, I have orange lids! I need another neutral eyeshadow palette like I need another hole in my head. I barely made a dent in the UD Naked #1 as I’m over 30 and have outgrown my shimmer. I’d go for a matte collection but UD’s mattes are something left to be desired. Hey, pretty lady! 30 years have nothing on your perfect skin 😉 I want a Naked 3 with mattes too, though – the two already out are SO shimmery! That is a stunning look. I definitely don’t think it looks to shimmery on you. The shimmer *does* make me nervous though (with 5 years on you, the creases are definitely setting in).